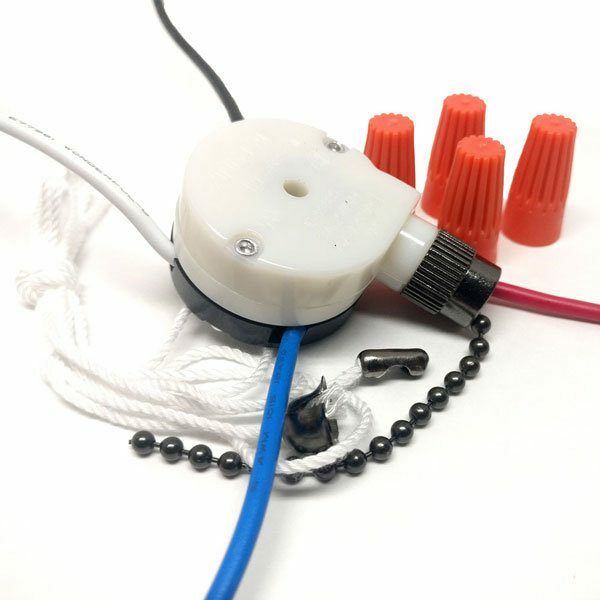 Zing Ear ZE-208s E898885 fan speed controller comes with 4 pre-attached wires for easy installation. 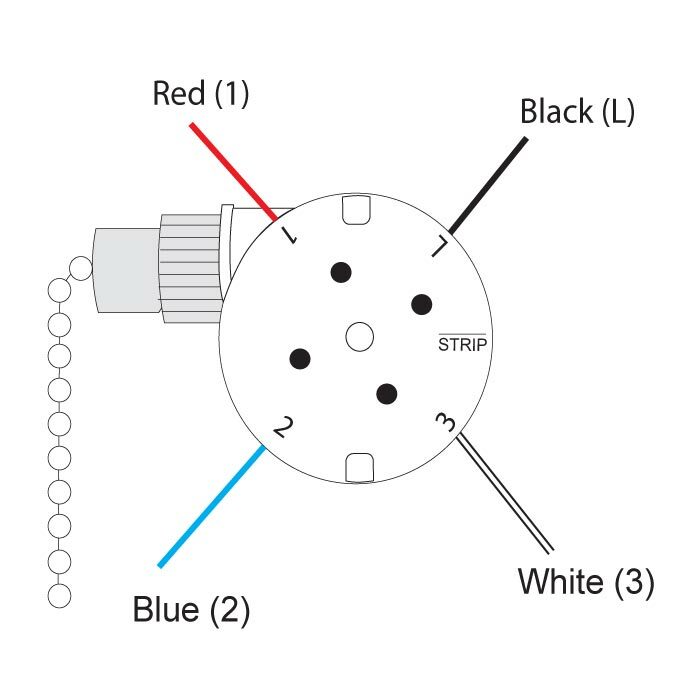 By simply tugging the attached pull chain, you will have full control over your fan rotation speed. 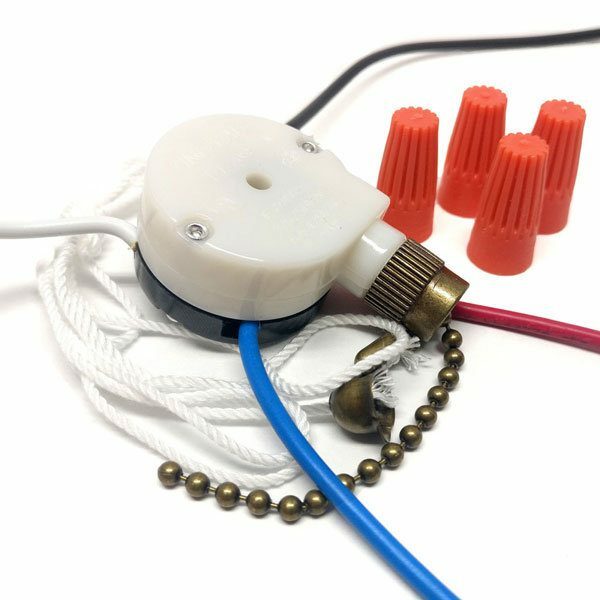 This 3 speed 4 wire fan replacement switch is a cost-effective solution to fix your ceiling fan. 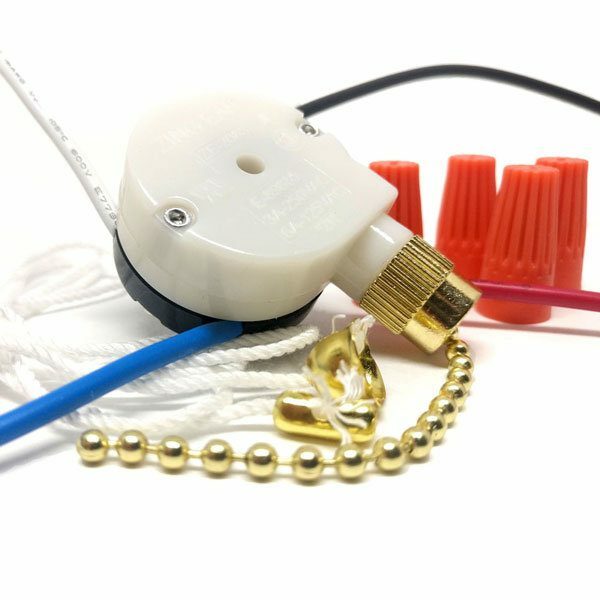 Zing Ear ZE-208s is compatible with many ceiling fans including Hunter, Hampton Bay, Harbor Breeze, Westinghouse, Litex, Minka, Casablanca, etc.